Great price for this cologne, big savings compared to department stores and it smells wonderful. Has a classic scent that you never get tired of smelling. Perfect for all year round. My husband and son love it! 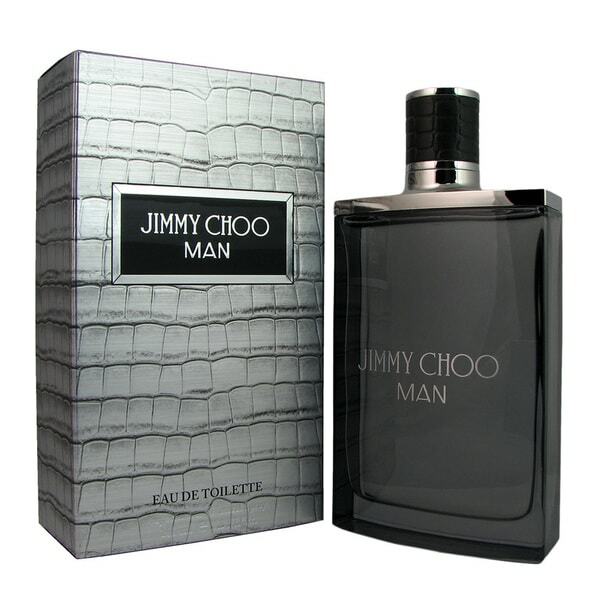 Enjoy the cool sophistication of this eau de toilette spray from design house Jimmy Choo. Perfect for the man that enjoys the finer things, the spray boasts refreshing notes of lavender, honeydew melon, pineapple leaf, and pink pepper, while hints of patchouli and suede provide the perfect masculine touch. For several years I have bought this Eau de Toilette at Department stores for my husband. This is the same product. Same quality. I smelled this cologne at sephora and liked it. I saw it on overstock and purchased it because it was a decent deal but boy do I regret it. It doesn't smell anywhere near as good as the one in sephora and I have purchased cologne online from other places they were great. This cologne smell is weak, doesn't last long and even when you spray it, it doesn't smell like the one at sephora. This is the last time I ever buy cologne from overstock. Got Jimmt Choo Toilette Spray and Jimmy Choo deodorant for my son for Christmas and he loved it. My brother liked the scent as well. I would definitely recommend the product. I bought this for my sons ages 17, 16, 14 and 12, every morning after getting dressed they have to spray Jimmy Choo on and it smells great on them and they get lots of compliments on how nice they smell. This Jimmy Choo fragrance is absolutely the best smelling fragrance It's sweet, modern, chic, and light. I purchased this for my dad and he love it.It's a fragrance that can-be carried from the workday all the way through the night. Perfect purchase. Bought this for my husband for a Christmas gift, I have Jimmy Choo and love the smell so I know the men’s version will be good. I purchased this bottle because the one at my local exchange smells great on me and lasts all day. The scent smells exactly the same but, the scent literally lasts minutes and then is completely gone. I wanted to try out Jimmy's Cologne and I was surprised at the light and yet boldness in the cologne,extremely happy with this purchase. The cologne came on time but it wasn't what i was expecting. This is my husband’s scent. He loves this and is now well stocked thanks to finding it here for such a good price. It’s a clean, masculine scent. It makes a great gift. The delivery was fast and it arriveds securely packed too. This is a very wonderful men's fragrance. I absolutely love it on my husband. Wonderful gift for son-in-law. Great fragrance not too strong very pleasant. I love when my husband wears this fragrance! It is not too strong but holds on so that it remains pleasant. The price point is awesome also. I love buying my fragrances on overstock.com! This was a gift, the shopping was fast and came in the beautiful packaging the same one is double at a regular store the smell was exactly the same, you can’t beat this deal. I ordered this bottle of cologne for a Christmas gift and was very pleased. The time in what my order was shipped and received was very prompt! I had seen this particular item in a store and searched for it online. The price was the same everywhere I looked. Overstock had the absolute best price! In my opinion this is the absybest smelling cologne ever and my boyfriend loved it!